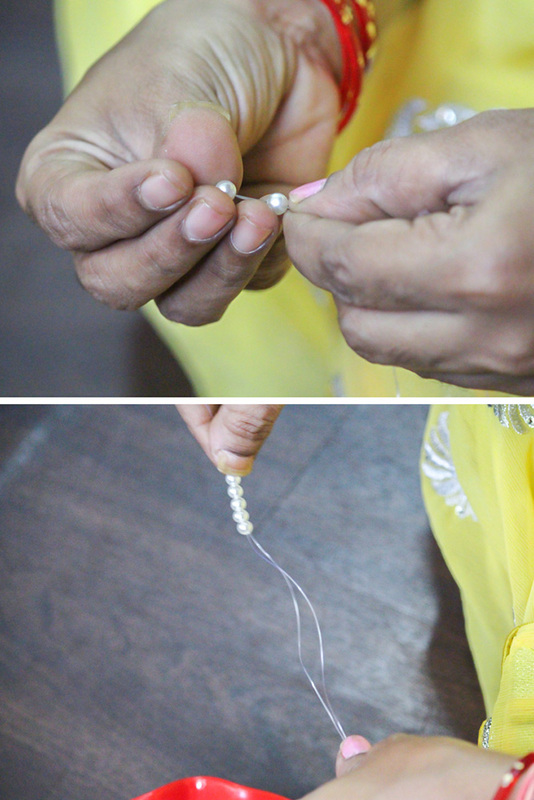 The artificial pearl bags are fancy and can be carried everywhere with alleviate. 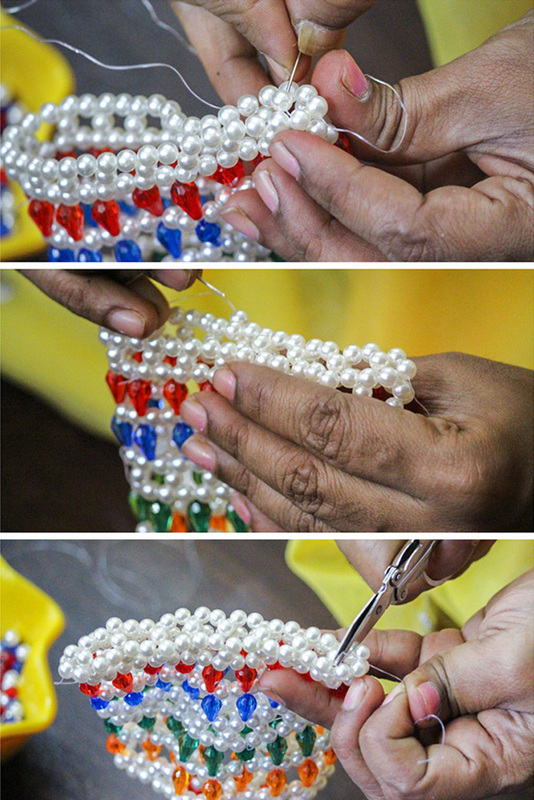 The making of these pearl and beads bag take all the skills of understanding the beading artwork. 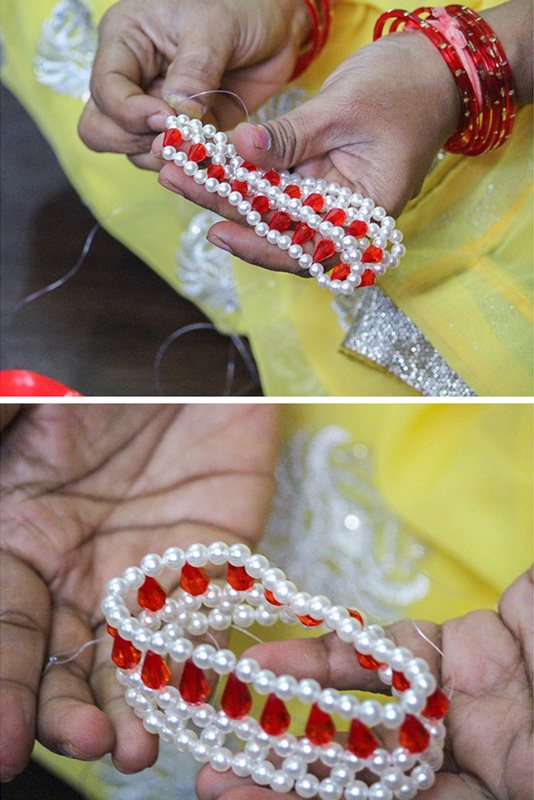 It is the art of attaching the pearls and the beads to one another with the help of strings. 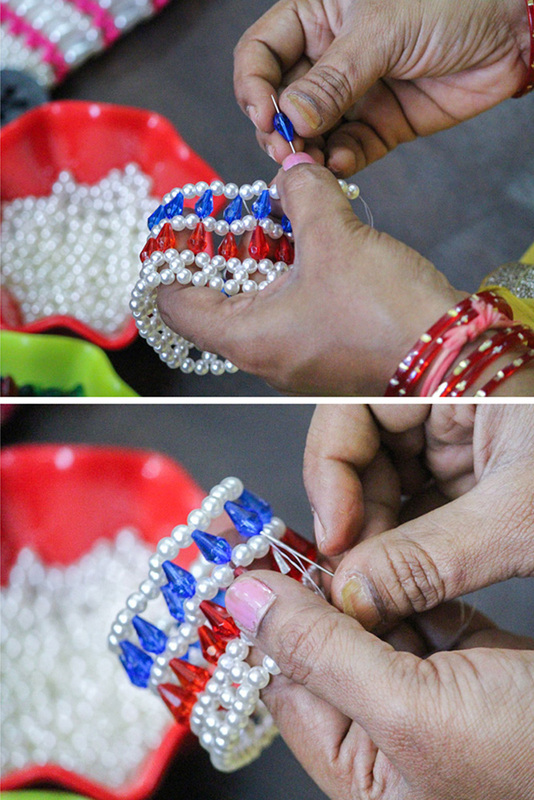 The craftsperson carefully strings beads where the design patterns are needed. 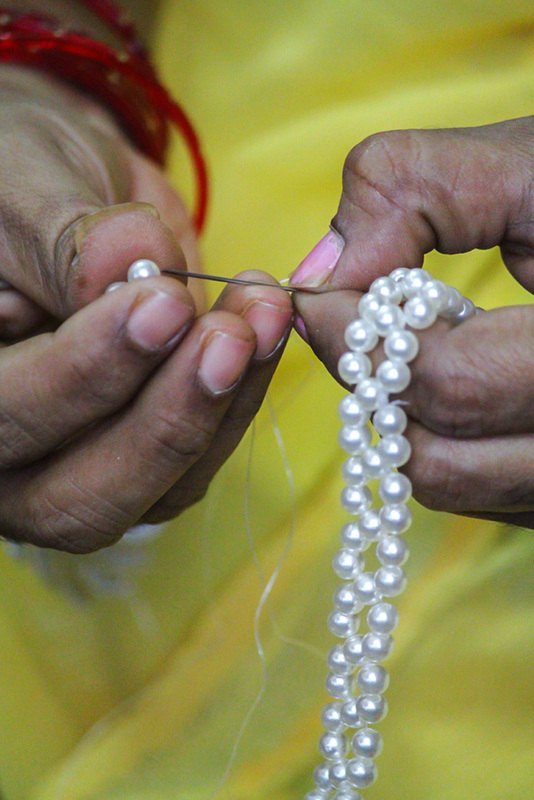 The pearls are stringed initially to a required length. 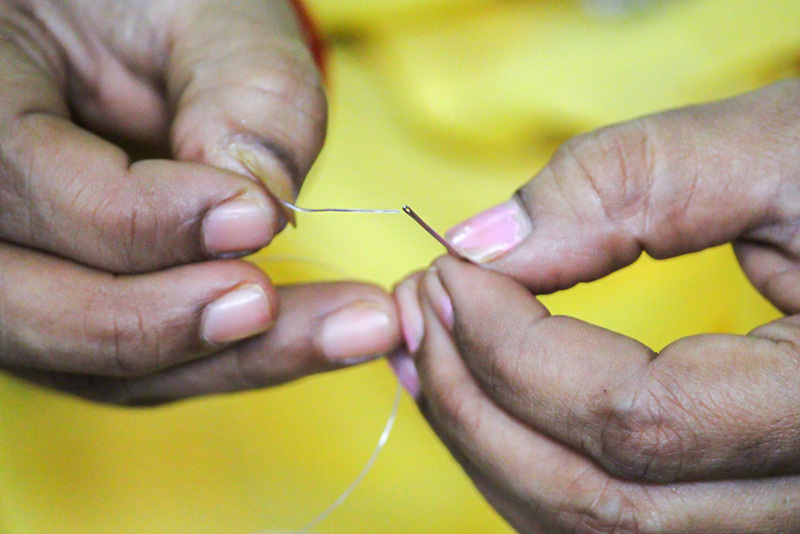 They are twisted and knotted to create needed patterns like flowers and so. 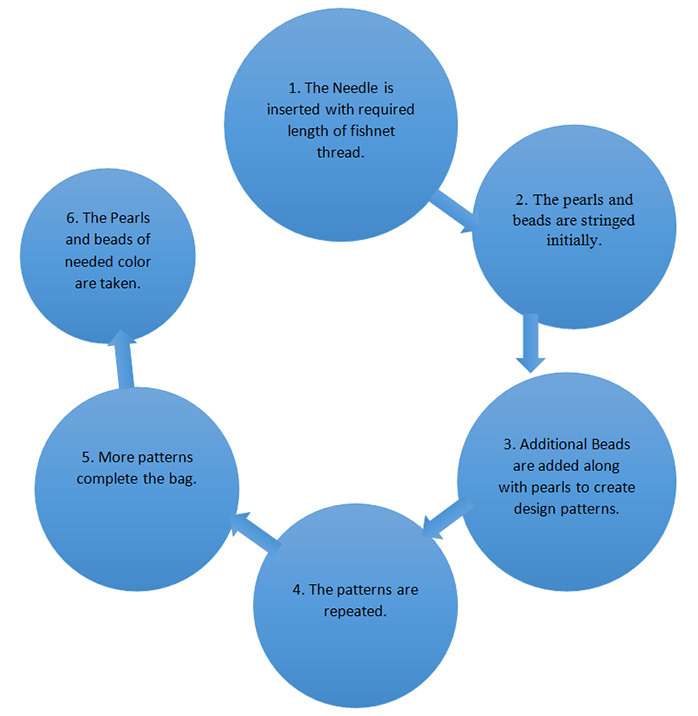 The patterns are created according to the finished product that has to be made. 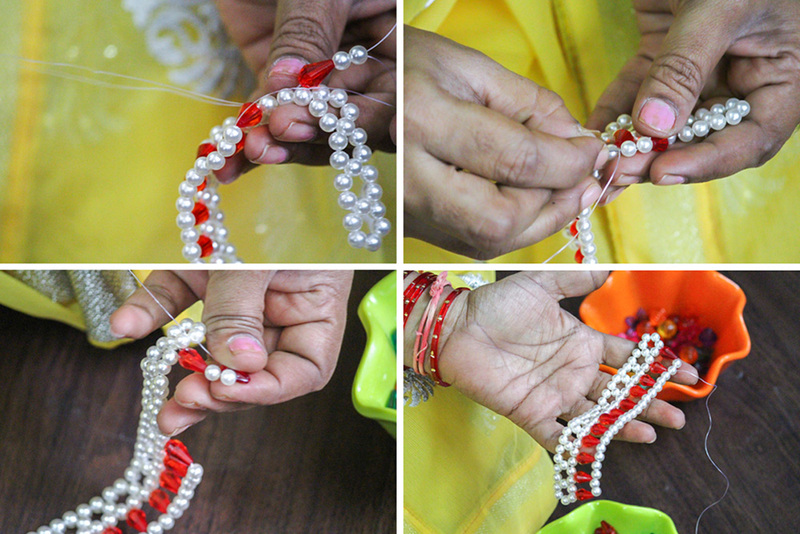 The threads that are plastic threads are used for stringing artificial pearls and beads, as it stays strong and hold them without tearing. 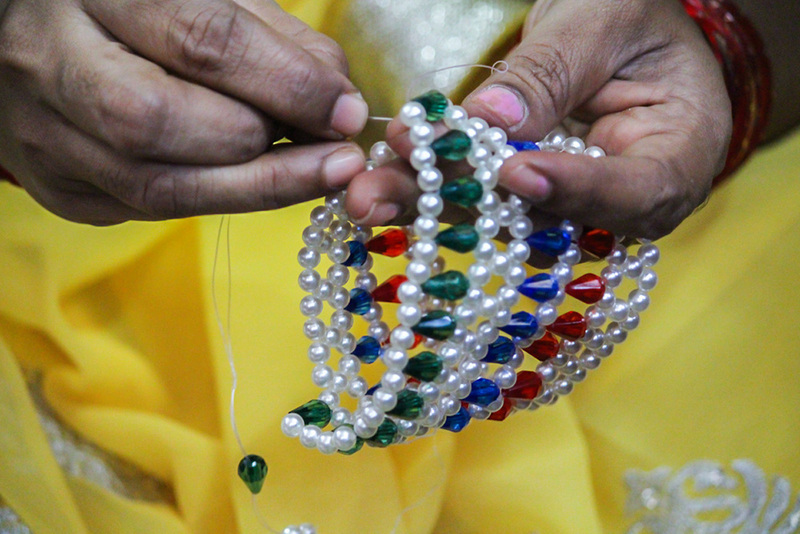 Layer by layer these pearls and beads are woven, a string of pearls are further advanced to a form of bag, additionally required beads of various sizes are added alternating with the pearls and additional threads are also tied to continue with the weaving process. 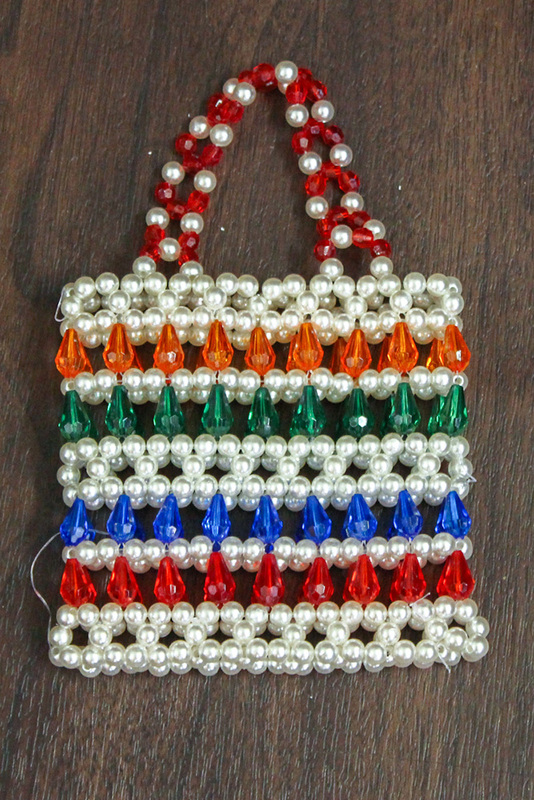 The pearls and beads are woven in layers and finally a handle for the bag is weaved in the same process or sometimes the handles are made completed separately and attached. 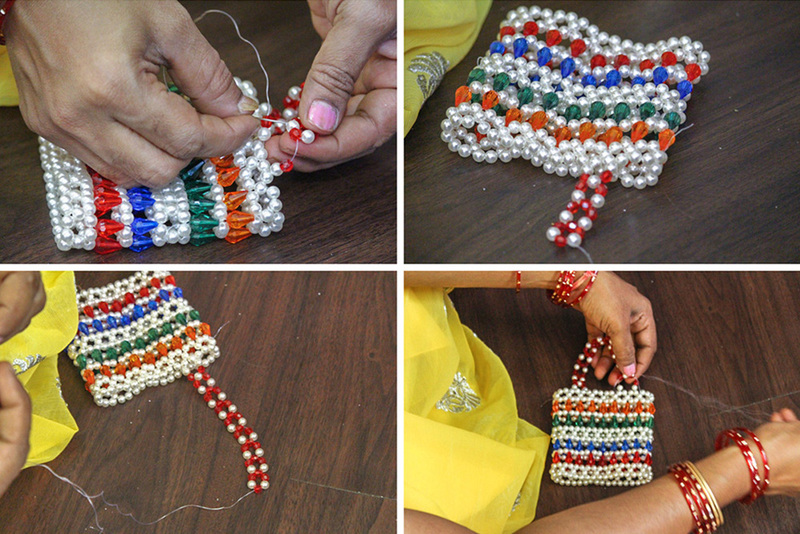 Bags are made ready with different design patterns in the same way. 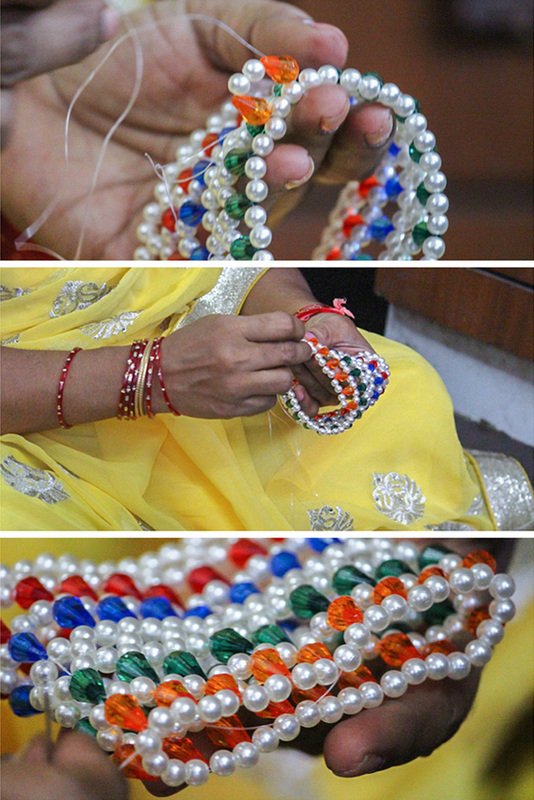 Pearls of soft pastel colors are used to make the products look luxurious and enhancing. These bags are used to carry objects, depending on the sizes the insides can be packed.